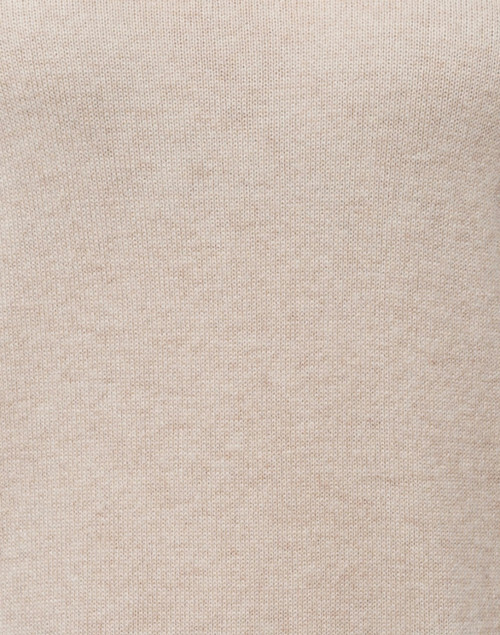 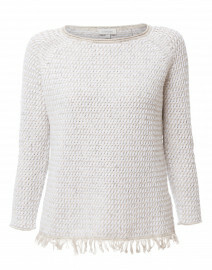 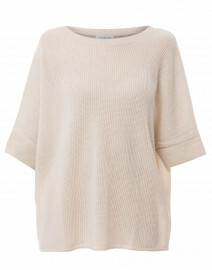 This beige sweater by Sail to Sable is the epitome of laid-back luxury. 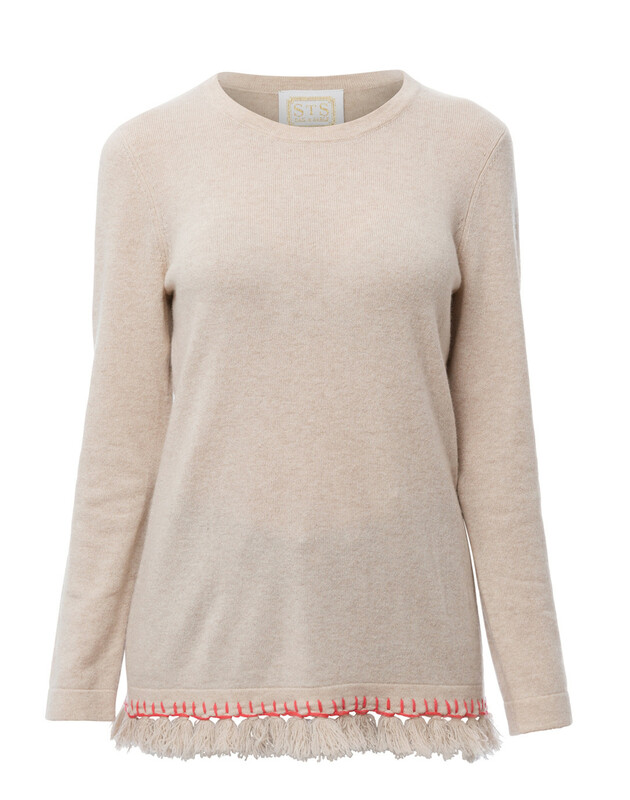 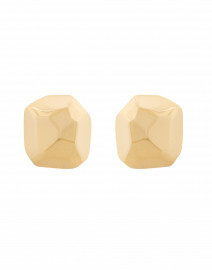 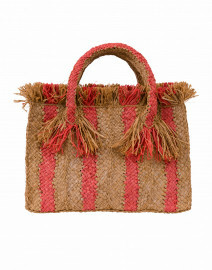 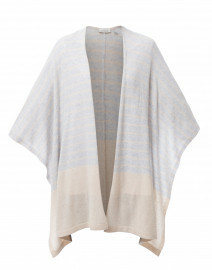 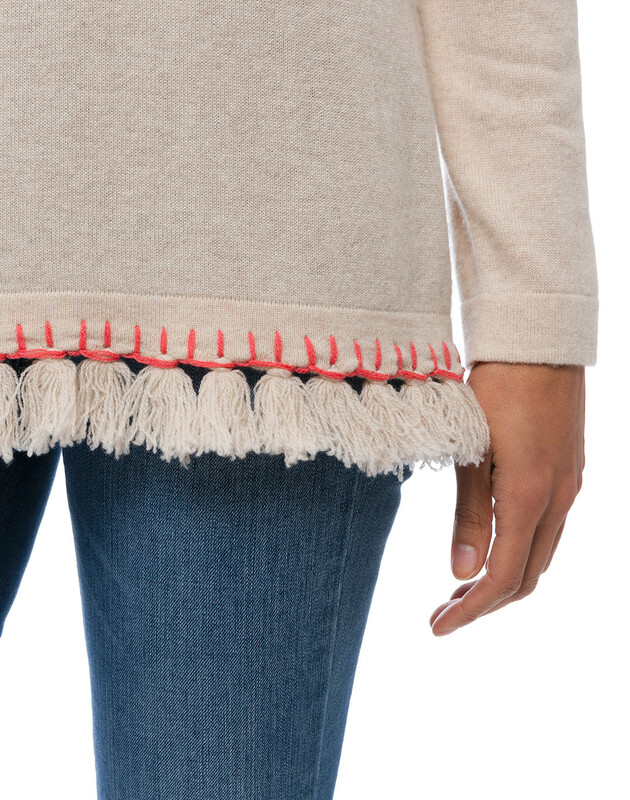 It's crafted from 100% lightweight cashmere thats perfect for spring, tassel trim hem. 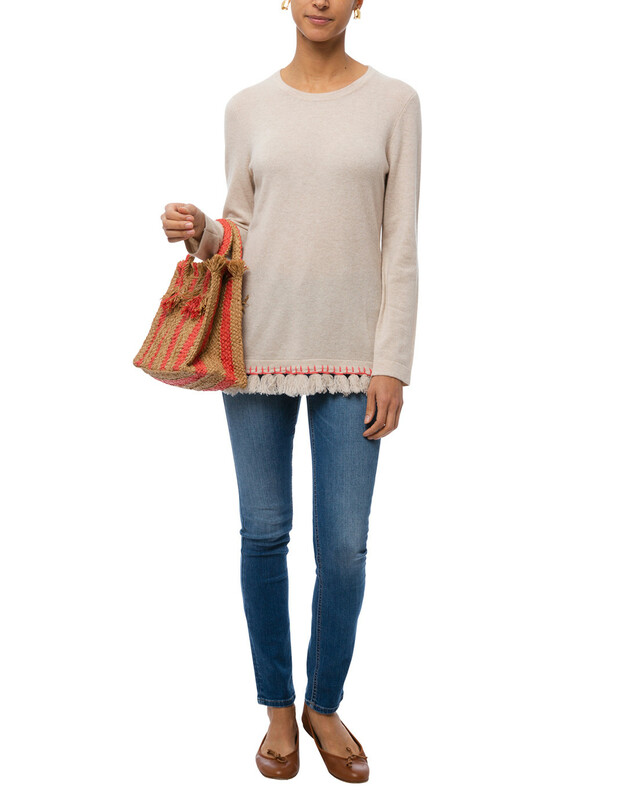 Style it with blue jeans and leather flats for a cozy weekend look. 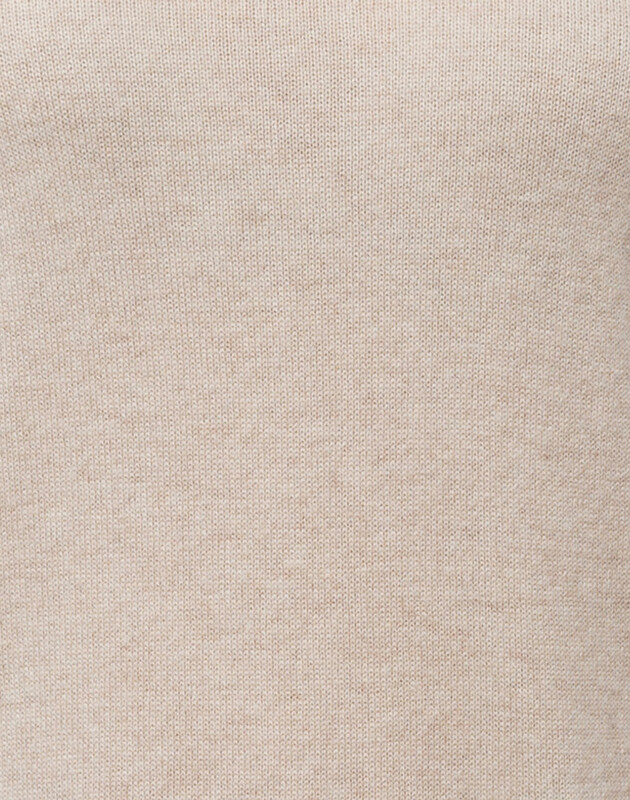 Length 25.5" 26" 27" 27" 28"
Shoulder Width 13" 14" 14.5" 15" 16"
Bust 34" 36" 38" 42" 46"
Hip 37" 39" 41" 44" 47"